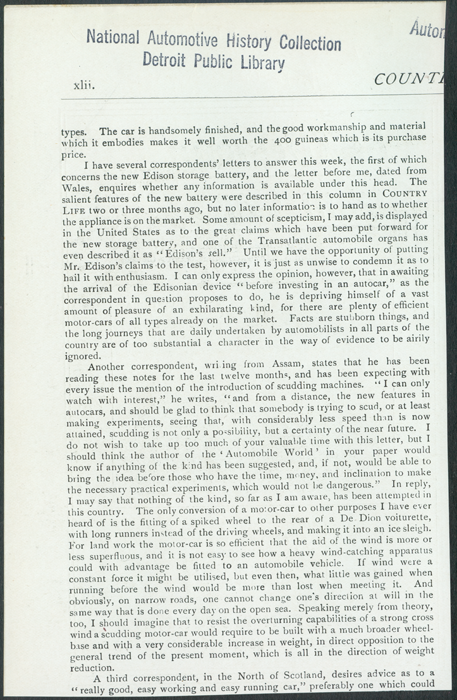 This advertisement for THe Weston Steam Car appeared in Country Life in England on April 12, 1902, page xli. 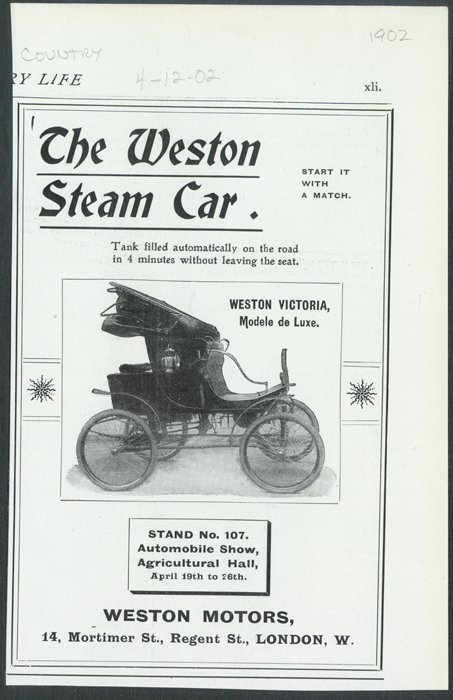 This advertisement was stolen from the Detroit Public Library's National Automotive History Collection sometime before 2012 when the VSCM purchased it on eBay. Having learned that it was stolen, the VSCM returned the original to the Detroit Public Library on February 9, 2017. Would the thief who stole this advertisement please make a $50.00 donation to the VSCM? Push the button below to clear your conscience.